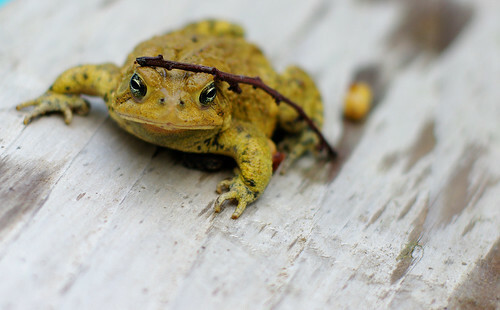 Here's a frog that looks like it's trying to hide under the stick. You can also see a baby under there. Took this with the FA50 1.4.